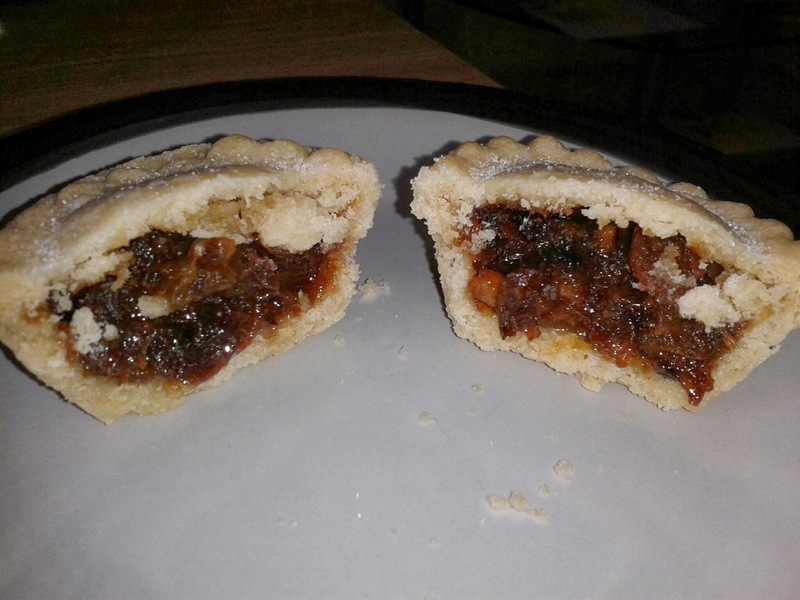 I love mince pies and feel that they should be available all year round!! To avoid disappointment I always stock up on mince meat at Christmas so i can make them at other times of the year too!! Something slightly disappointing about shop brought mince meat in jars or in pies, is that it always seems to taste the same!! Something you don't have to put up with if you make your own mincemeat from scratch. 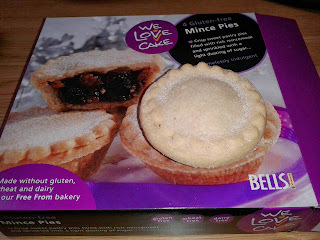 Despite this, I am still up for a shop brought mince pie every so often, which is what made me try these. 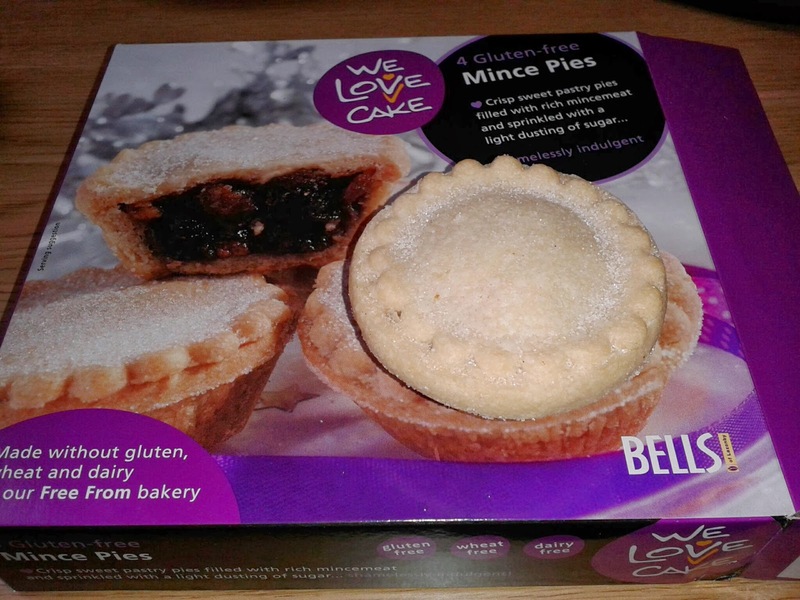 I actually quite like the packaging for this pie and the name of the company 'love cake'. It's questionable why a cake company is making pies, but I think I'll let them off on this occasion!! Upon opening the box, every single pie was in tact!! One comment i would make is that they weren't very golden in colour. They tasted great, and I really looked forward to trying another one the next day to see if it would be as good - and it was. The pastry was almost a bit crunchy, but its hard to get GF pastry to work!! I would definitely recommend these pies and eat one again.